Do not miss this spectacular modern home, with brand new modern renovations! 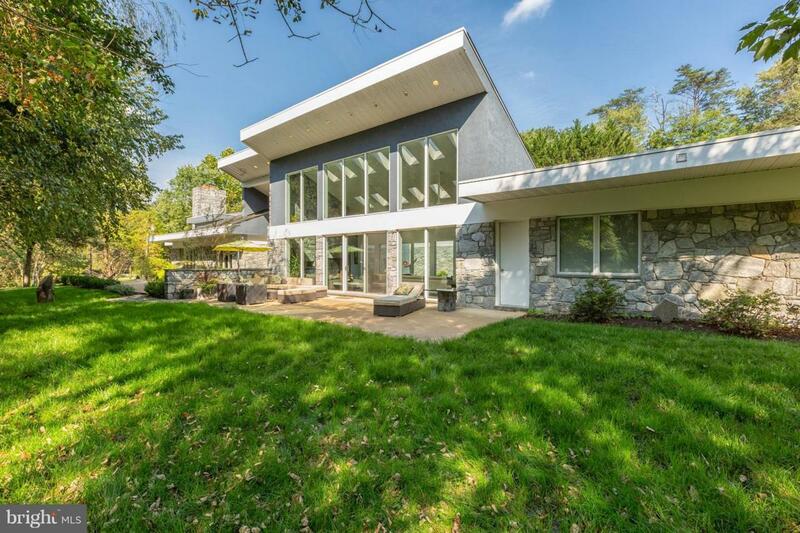 Sitting atop a gorgeous 1.22-acre property offering complete privacy, in McLean/Arlington Virginia, only 2 miles from Washington DC. 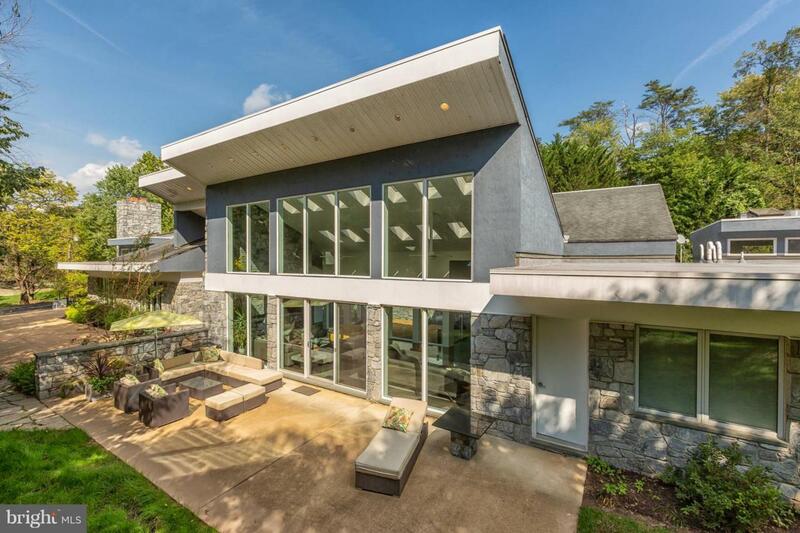 Designed by architect Angus MacDonald, it's generous interior is comfortably situated on one level with 25-foot ceilings and large glass windows creating endless connections to the outdoors. The owners have just completed notable renovations throughout the house, including an all-new fabulous master bathroom with glass enclosed shower, free-standing porcelain bathtub, dual vanity, and dual water closets. The house has been freshly painted and modernized throughout, freshly landscaped, and received new HVAC systems, preventative maintenance to the roof and chimneys, all in excellent condition for the new owners! Details include three stone fireplaces; gourmet kitchen with six burner gas range, center island, buffet island, and breakfast room, sculpture garden courtyard, art gallery/sunroom off the kitchen, theater room or home gym, home office(s), a three car garage with a Tesla/EV plug-in, and Solar power for supplemental hot water! 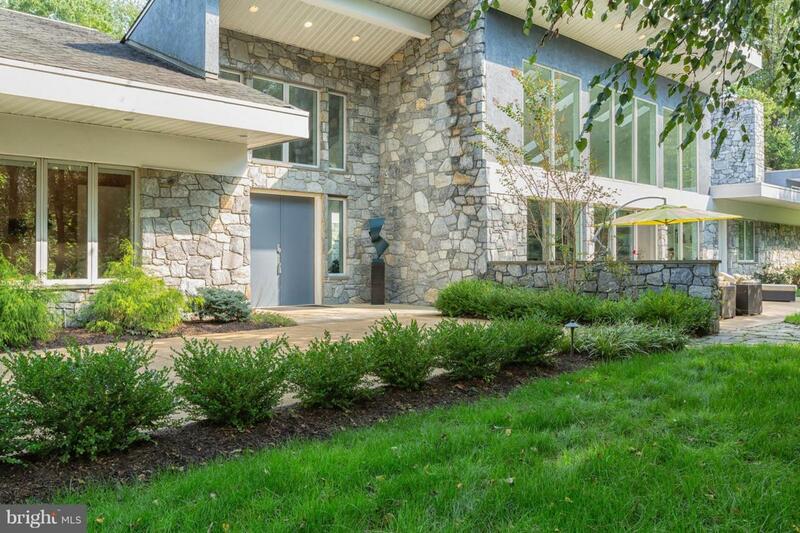 This home has it "all" in one of the most desireable McLean neighborhoods, Franklin Park, with incomparable privacy and breathtaking living space!